Various representations of the figure of Salomé and the Biblical legend were produced in European, specifically in English literature and arts throughout the nineteenth century. Oscar Wilde's 1891 dramatic version of the legend in many ways epitomizes the full potential of the legend and capitalizes on the period's fascination with the Orient. The climactic moment of the play, the Dance of the Seven Veils, offers a unique reflection on European understanding of the harem and invites a comparison to Ottoman representations of this same cultural space. This book analyzes the relation between the Dance of the Seven Veils, and the figure of dancing woman in the harem of the Ottoman Empire. It is the slippage between the two which has informed various representations of the Oriental female figure in the West. The gap that emerges between the Western representations and the real practices in the harem, allows for a focused critique of Orientalist practices while recovering, in some ways, the actual experience of Muslim women. 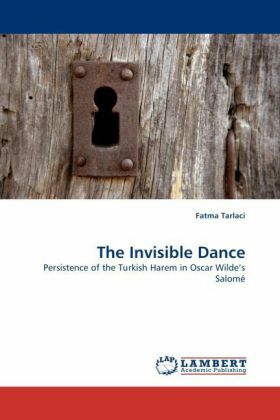 This book offers new insights to the Ottoman harem women through the figure of Salomé and questions previously established assumptions.